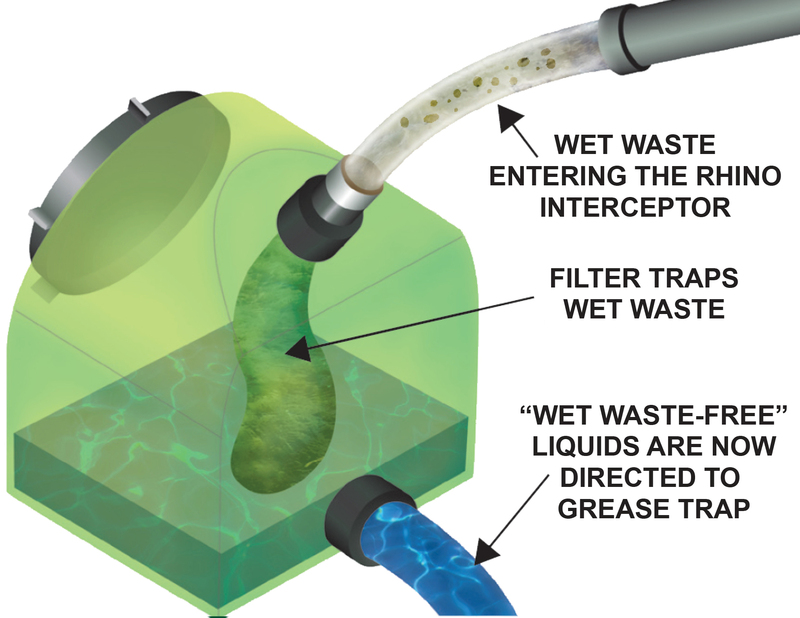 The foodservice industry is required to use grease traps for the removal of fats, oils and grease (FOGS) from wastewater before it flows into municipal drains. Unfortunately, grease traps are often under-sized and underperform, allowing FOGS to escape into the drains, causing severe blockages. Unblocking costs are a major financial burden to both foodservice operators and municipalities. 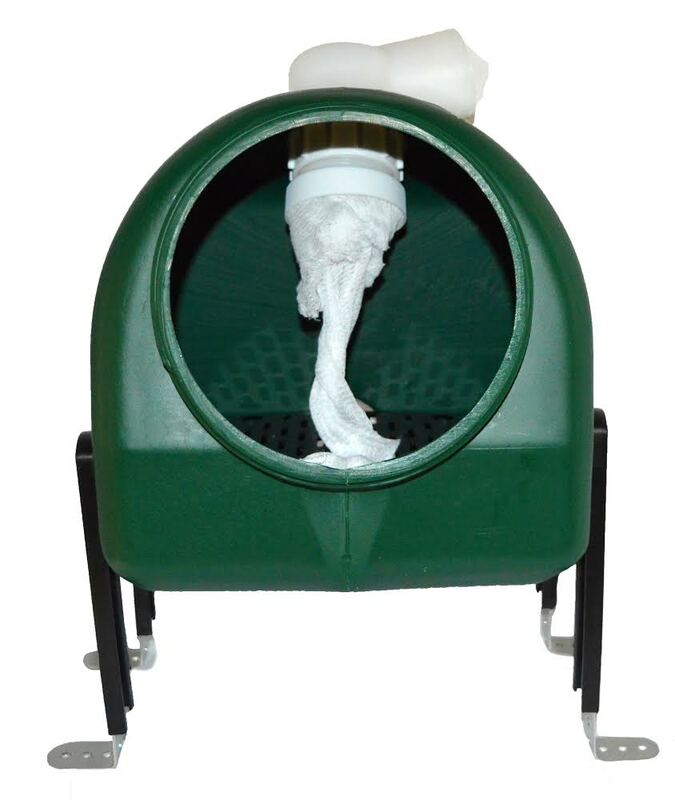 The RHINO’s specially designed filter allows liquid to escape, while retaining wet waste, preventing it from accumulating at the bottom of the grease trap, eliminating foul odors and extending the life of the trap. With the use of the RHINO, your grease trap is more effective in separating FOGS from wastewater. 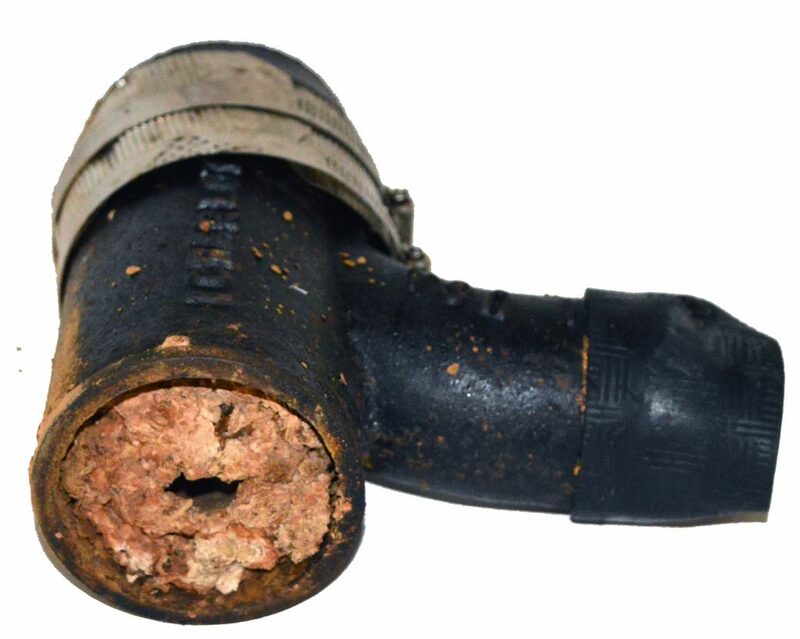 Fewer costly drain blockages occur and fewer grease trap cleanings are required. The RHINO Interceptor is a smart solution to reducing operational downtime and keeping you compliant with municpal wastewater bylaws.